In the past, he was only able to move around to a certain degree before he'd run out of space. Not the ideal test environment when demonstrating the upside of being able to teleoperate a robot. 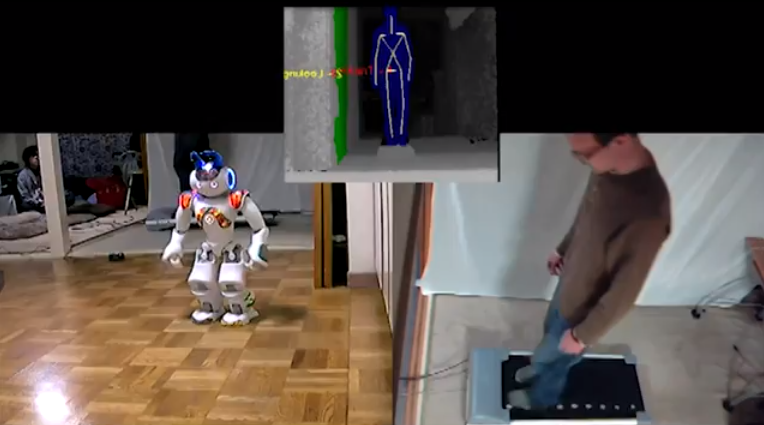 Now, with his latest configuration, the user can continuously walk either forward or backwards on the self powered treadmill in order to have the robot move as much as the operator desires. This is perfect for controlling a robot that needs to travel across great distances while having the operator confined to a small area. Right away I'm thinking underwater excavations could benefit from this type of solution or it can be applied to a number of other uninhabitable environments.